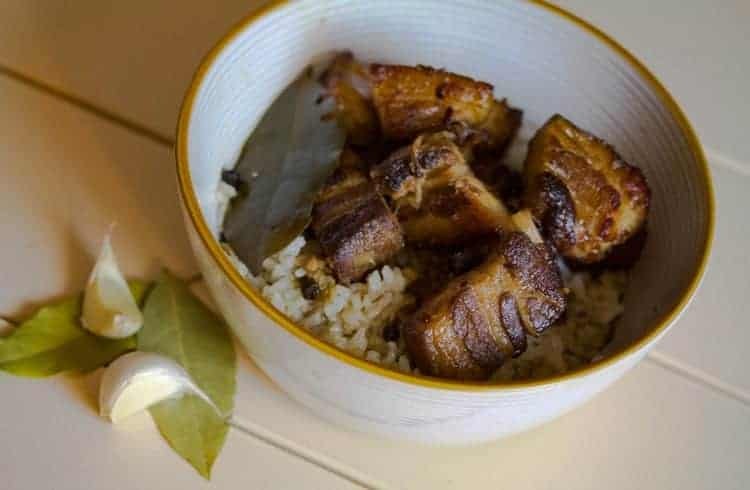 In a bowl, mix together apple cider vinegar, soy sauce, garlic, black peppercorns, and bay leaves to create the adobo sauce. Put the pork belly in a freezer bag with the adobo sauce, and remove the air through a vacuum sealer or the displacement method. Put the bag in the fridge, and let the pork marinade for 4 to 24 hours (optional, but recommended). Set sous vide machine to 76.5C/170F. Once the target temperature is reached, drop pork belly in the bath for 10 hours. Heat a large skillet on high and add oil. Sear the pork belly chunks for about 60 seconds a side, or until the pieces are browned. Remove pieces from skillet and set aside. Heat a small sauce pan on medium, add adobo sauce from bag and simmer for 3 to 5 minutes. Once thickened, turn off heat. 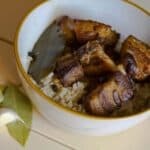 Pour the sauce on a bowl of jasmine rice, top it with the pork belly chunks and enjoy! Jason is a home chef with a passion for preparing perfectly-cooked, gourmet meals at home - so naturally he became obsessed with cooking sous vide. This obsession led to a quest to find the perfect cooking time, temperatures and techniques for every type of food he puts in the bath. Jason is excited to share his pro-tips and favorite recipes to help make cooking sous vide an unforgettable experience for everyone. Follow his culinary adventures at @sousveezy on Instagram to learn more! 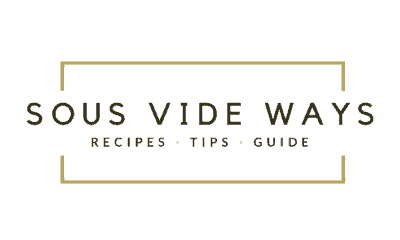 Opt in below to receive our free Sous Vide 101 - A Beginner's Guide ebook! Please follow & like us! Copyright © 2018 Sous Vide Ways.